Cost: $20. Tickets available through Ticketweb. Few bands care about fans quite like the Maine. When a fan named Jessie replied saying she was sick and felt “like death,” the band responded with a tweet asking for her address so they could send her soup. A fan who replied they were tired and stressed was sent coffee, as was a fan who was overwhelmed with homework. A fan named Carolyn who replied saying she’d gotten the job of her dreams was sent flowers, and a fan named Rachel was gifted tickets to Warped Tour after she replied saying she was excited for her first, and last, time at the annual music festival, which is coming to an end this summer. A couple days later, on Jan. 21, the band celebrated 11 years together with a fan appreciation day during which they released new content, including a documentary and a live chat, every hour for 11 hours straight. To promote its latest album, 2017’s “Lovely Little Lonely,” the band surprised a few fans in their hometown of Phoenix by showing up to their homes and performing lead single “Bad Behavior” from the back of a truck. 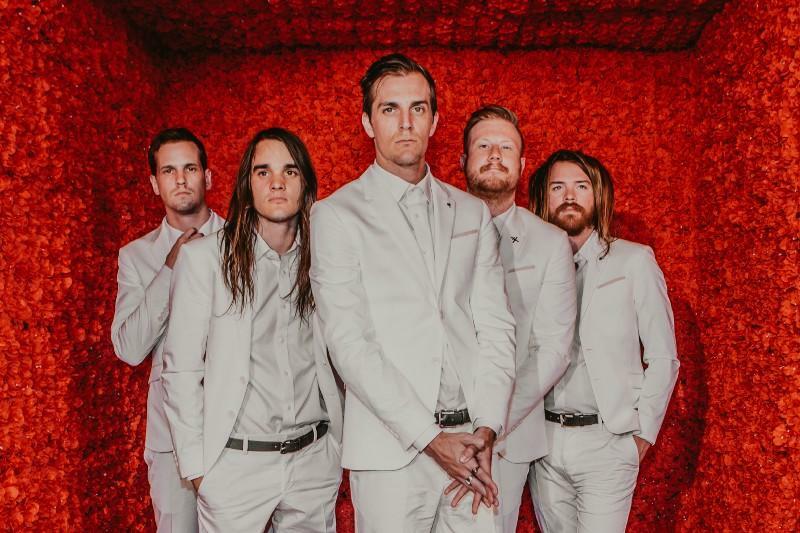 In 2015, the band played 13 shows around the country that were free for fans to attend as part of the “Free For All” tour, and since forming in 2007, the Maine has always held free meet and greets. Fans also had a lot to do with the routing of the band’s “Fry Your Brain with the Maine” tour, which includes a stop at the Knitting Factory on Saturday. Each show on the “Fry Your Brain with the Maine” tour will also feature a fan-voted song in the set list. Nickelsen said this will not only give the band an opportunity to relearn older material but also help them stay loose onstage. Nickelsen said the set list will feature songs the band hasn’t played in awhile as well as material from “Lovely Little Lonely,” a record that got its start in New York. The band had always wanted to work in New York, so the quintet – Nickelsen, guitarist/singer Kennedy Brock, drummer Pat Kirch, guitarist Jared Monaco and singer/pianist/guitarist John O’Callaghan – spent a week writing in the city. “Bad Behavior,” a song about spending time with someone you know is bad for you, came out of the band’s week in New York. Nickelsen believes the freedom and courage to experiment comes from both the band being independent and releasing music through its own label 8123 since “Forever Halloween” and having fans return the love and support the band shows them. Published: April 5, 2018, 3:46 p.m.